This not only saves you money but also means that you can use the wireless controllers you have grown accustomed to. Installation and use of the PS3 to PS4 Controller Adapter is effortless. 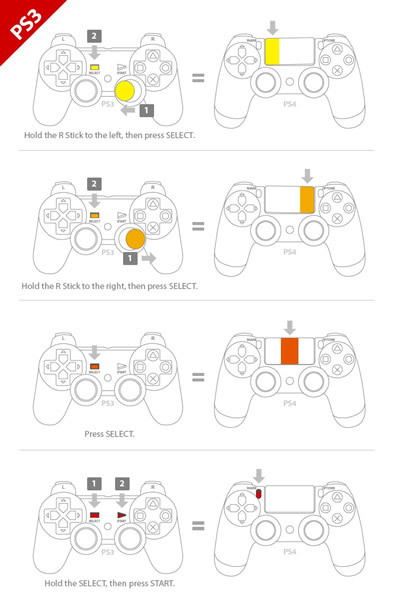 The Brook Controller Adapter recognizes wireless PS3 controllers and PS3 steering wheels and automatically configures all buttons as shown in the map below. No switching is required. * Each Brook Controller Adapter can only handle one wireless PS3 controller at a time. 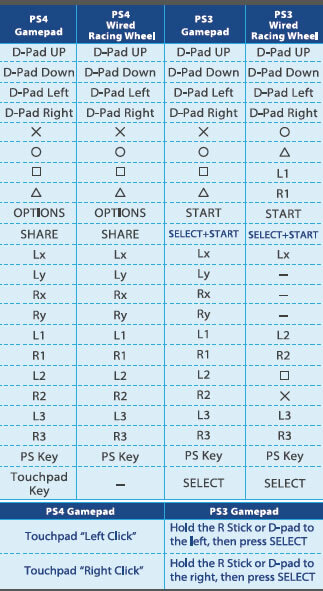 * Wireless PS3 controllers connect to the Controller Adaptor automatically, but must be connected with a USB cable at first time use for the purpose of registering the controller. * After registering a wireless controller and unplugging the USB cable, please wait 3-5 seconds before pressing the PS button to ensure that the connection to wireless is smooth. I bought this converter due to my arcade stick not working as a legacy device in Street Fighter 5 for PS4, bear in mind that this is not plug and play, it will work for some time and then stop working, this is because the firmware must be updated for the converter. Once updated you should be good to go. I haven't noticed any significant latency when using this converter, as I can still pull off 1 frame links in Ultra Street Fighter 4. Overall this is a great converter for anyone upgrading to next gen and not looking to spend £100+ on a new stick for fighting games.